The online marketplace has also seen a spike in demand for white bridesmaid dresses and alternative engagement rings. Etsy has become a go-to destination for the DIY bride-to-be, or anyone looking to make their wedding day more personalized and unique. On Thursday morning, the online marketplace released its wedding trend guide for 2017, which is based on industry trends, the state of the wedding industry as a whole and the overall activity on its own site, from what sellers are listing online to what the community is searching for and buying. Amidst all of that data, one trend stood out: By 2018, bridal parties will start wearing pants. 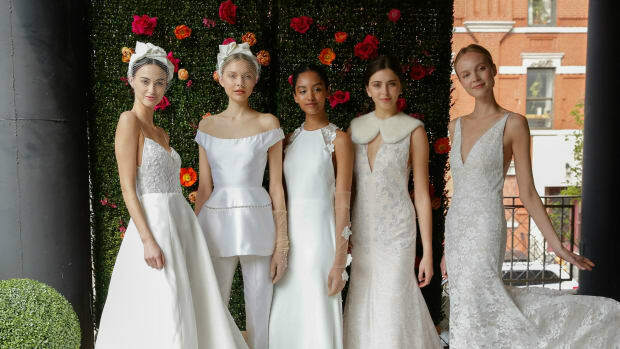 Maids of honor, bridesmaids and flower girls will likely walk down the aisle in pantsuits or jumpsuits, according to Etsy&apos;s Resident Trend Expert Dayna Isom Johnson. "Brides are actually making it a priority to stand out and not look so cookie-cutter," says Johnson, who also brought up that 11 percent of brides seek out nontraditional details with their wedding look, as reported by a 2016 study by Brides. "And so I really think that&apos;s going to translate into looks for the bridal party in 2018." Johnson says that bridal parties are already being given creative freedom with their dresses, such as choosing from a variety of silhouettes or colors that collectively aren&apos;t so, well, matchy-matchy, and as a result, opting for pantsuits or jumpsuits is a natural evolution of that individuality. Plus, with pants on the rise among brides for Fall 2017, chances are this trend will soon trickle over to the bridal party, too. 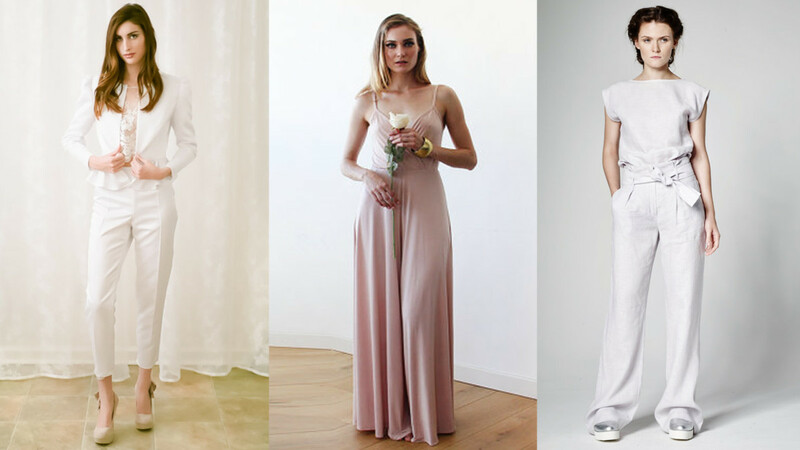 So far this year, "wedding dresses" is already the second most-searched wedding-related term on Etsy&apos;s site, and Johnson and her team have also noticed that white bridesmaids dresses are becoming more popular. This type of color-swapping is a result of brides deciding to wear looks that aren&apos;t traditionally white, from blush pink tones to bolder, deeper hues, so the switch-up is a way for her to still stand out. Additionally, demand for alternative engagement ring has hit an all-time high at Etsy, says Johnson. As more couples are investing in personalizing their wedding experience as opposed to following traditional routes, this applies to cornerstones of an engagement as well. "If a diamond doesn&apos;t speak to your style, that&apos;s okay,” she says. "If you want an emerald or a beautiful ruby instead, you should embrace that." Johnson also adds that when users search the term "gemstone engagement rings" on Etsy, there are currently 44,000 (!) different search results available on the site. And if you&apos;re looking for an engagement ring yourself, Johnson suggests checking out Etsy shops Liesel Love, Lex Luxe, Capucinne and By Laris. 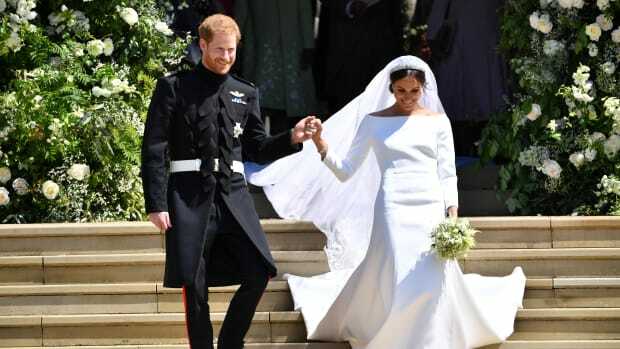 A new report by eBay explores how web searches shifted after Meghan Markle and Prince Harry's big day. 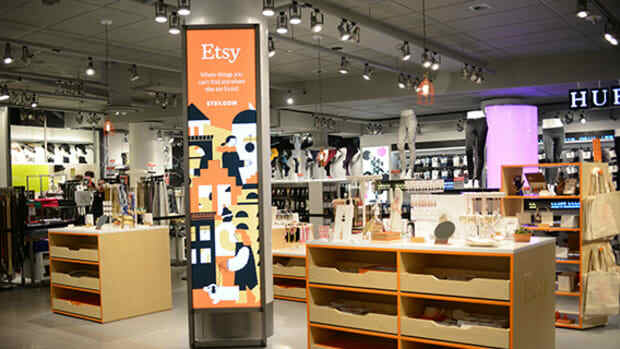 The department store's Herald Square flagship will rotate items from Etsy sellers every six to eight weeks through 2016. Want to make sure your wedding day is filled with eclectic, quirky, semi-personalized touches that scream unique! Handmade! Etsy!... but don't actually want to take the time sorting through search terms or calculating shipping costs from Michigan or setting up a PayPal account (ugh seriously what's that all about, anyway?)? Yes? Well, my indolent friend, have we got a treat for you! Etsy has just (ready-set-PUN!) unveiled its first bridal collection in collaboration with Nordstrom. And it's, like, really cute.